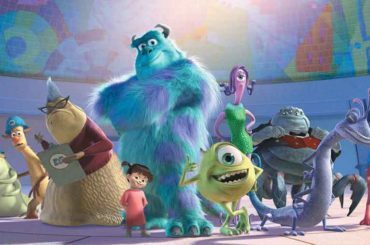 A few years ago Disney Parks hired Annie Leibovitz to turn her photographers eye on Disney’s famous characters for use in an advertising campaign for the theme parks. Leibovitz took celebrities and put them in the role of those characters and a very popular campaign was born. 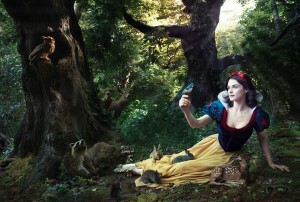 Take for instance this vignette of Rachel Weisz as Snow White. 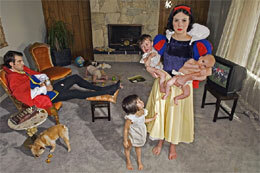 ‘Snowy’ is part of the ongoing Fallen Princesses project from photographer Dina Goldstein. It’s deservedly been winning awards. Sleeping Beauty, Jasmine (as a desert warrior), and Belle (not for the squimish) are among those who get the treatment. But my favorite is this shot of Rapunzel (a feature animation movie of Rapunzel is in progress at Disney right now) in the hospital as a cancer patient. It captures perfectly what must be a very poignant moment for cancer patients who have lost their hair.